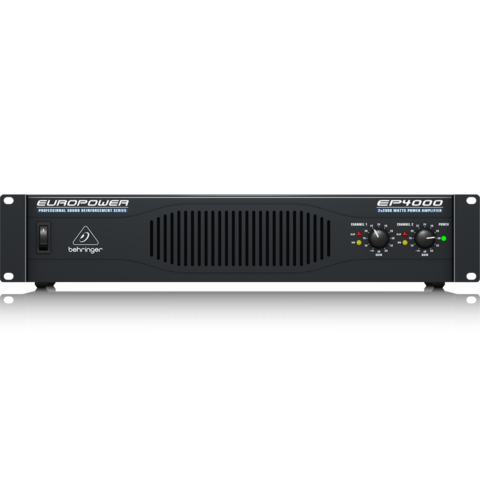 The EP4000 builds on the incredible legacy of our EP2500, which is one of the best-selling power amps in the industry. 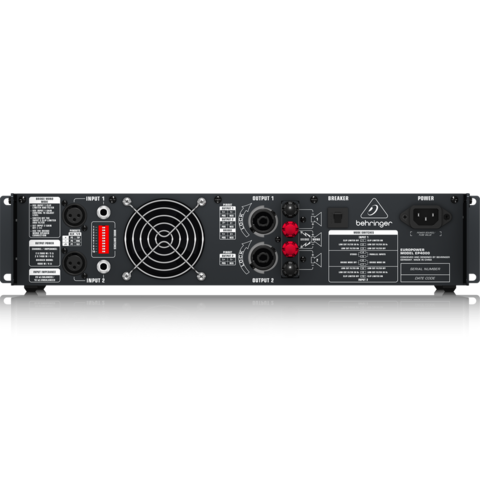 Our proprietary Accelerated Transient Response (ATR) Technology gives the EP4000 the massive power reserves needed for deep and impactful bass response, which translates into a more natural sound quality that will bring your audience to its feet – and keep them there! 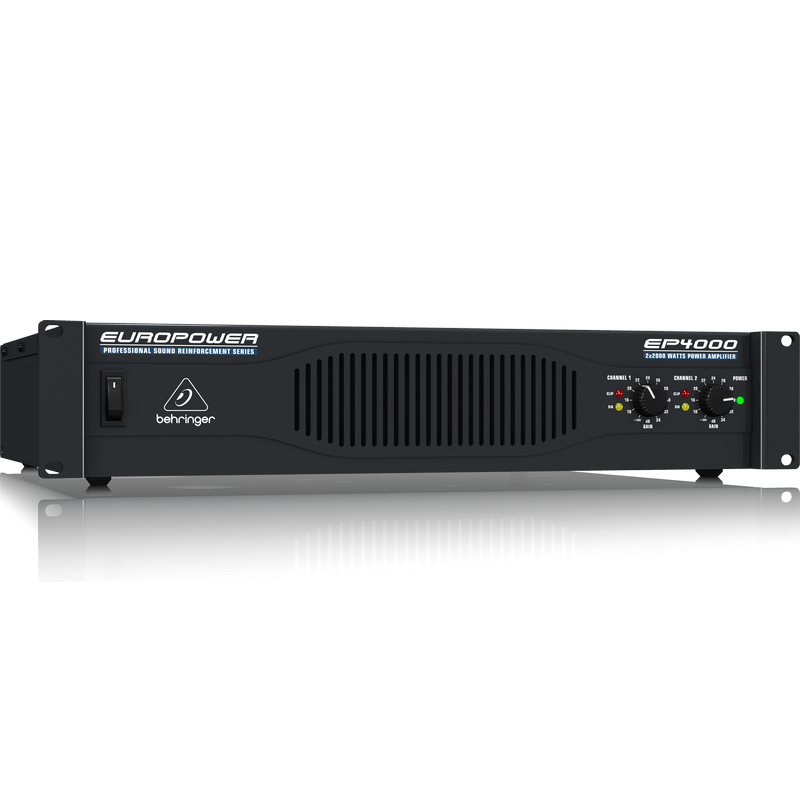 With an amazing 4,000-Watts of output power (2 x 2,000 Watts @ 2 Ohms; 2 x 1,400 Watts @ 4 Ohms; 4,000 Watts @ 4 Ohms in Bridge mode), the EP4000 is the perfect amplifier for medium-sized club gigs, mobile PA systems and public spaces. It takes huge pulses of energy (current and voltage) to propel a woofer cone fast enough to match a bass beat. That’s called Transient Response and it’s the holy grail of amp designers. 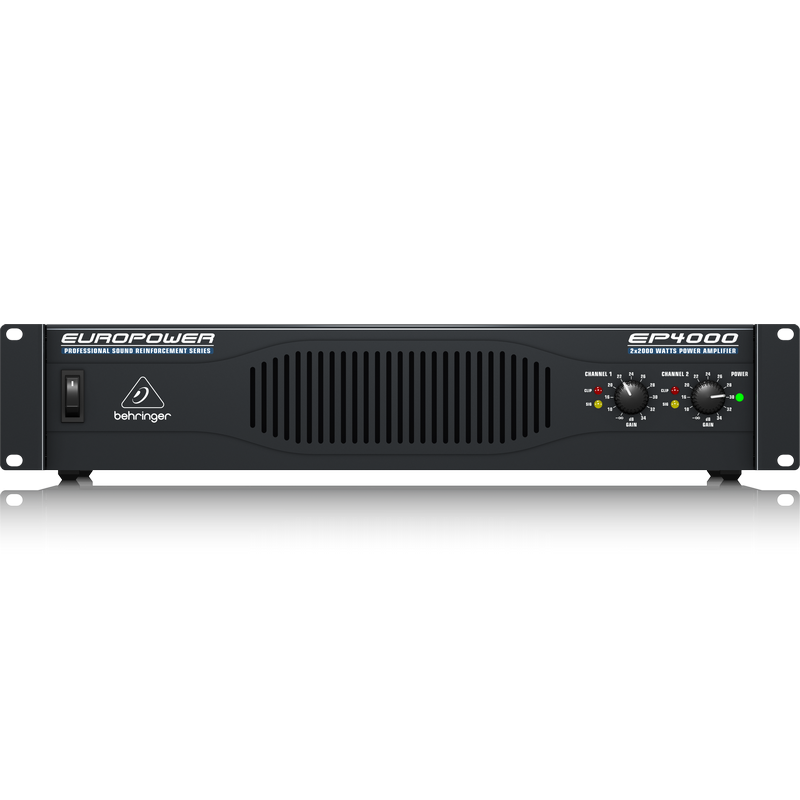 By carefully selecting transistors with extremely high slew rates and optimizing other proprietary parts of our circuitry, the EP4000 reacts instantly to even the most demanding bass impulses. If the woofers in your PA system can keep up, your audience will hear a tighter, crisper, more natural sound. 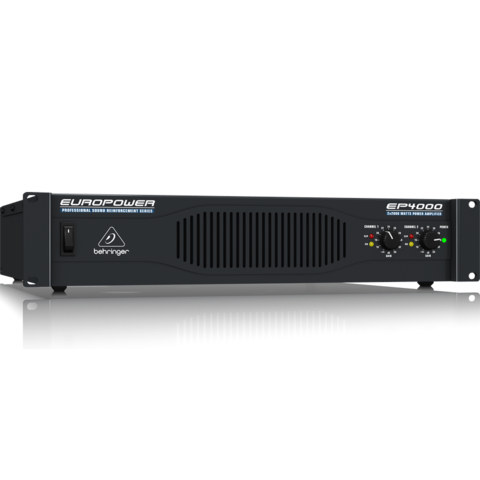 The rear panel of every EUROPOWER EP4000 sports an array of options to help you get the most out of your amp. The built-in Clip Limiter automatically senses when the amplifier is being driven into “clipping” and momentarily reduces the input level to avoid distortion. This all happens in mere micro-seconds, making it the ideal way to ensure perfect sound all the time. Stage vibrations, mic thumps and wind noise can cause ultra-low frequency sounds, or infrasonics – and while technically inaudible, they can be a real drain on power resources. 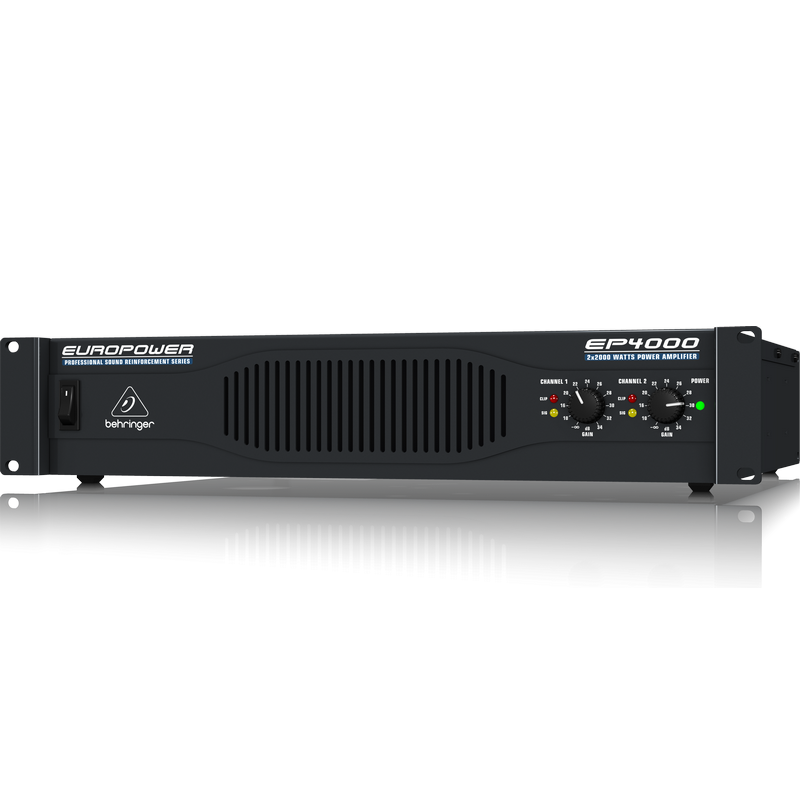 As a solution, the EP4000 features a defeatable Low Cut Filter that eliminates frequencies below either 50 or 30 Hz (depending on your PA system’s capabilities) – for better sonic performance, as well as the ultimate in loudspeaker protection. The rear panel also contains the Stereo or Bridge (mono) mode switches. 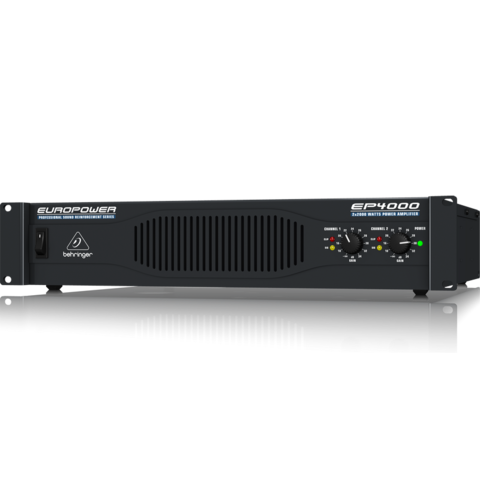 There are lots of awesome features on the outside of the EP4000, but this amplifier’s beauty goes much more than just skin-deep. Inside you’ll find industry-leading components, such as world-class Toshiba/Fairchild power transistors, and a custom-designed, high-current toroidal transformer for ultra-high transient response and further reliability. 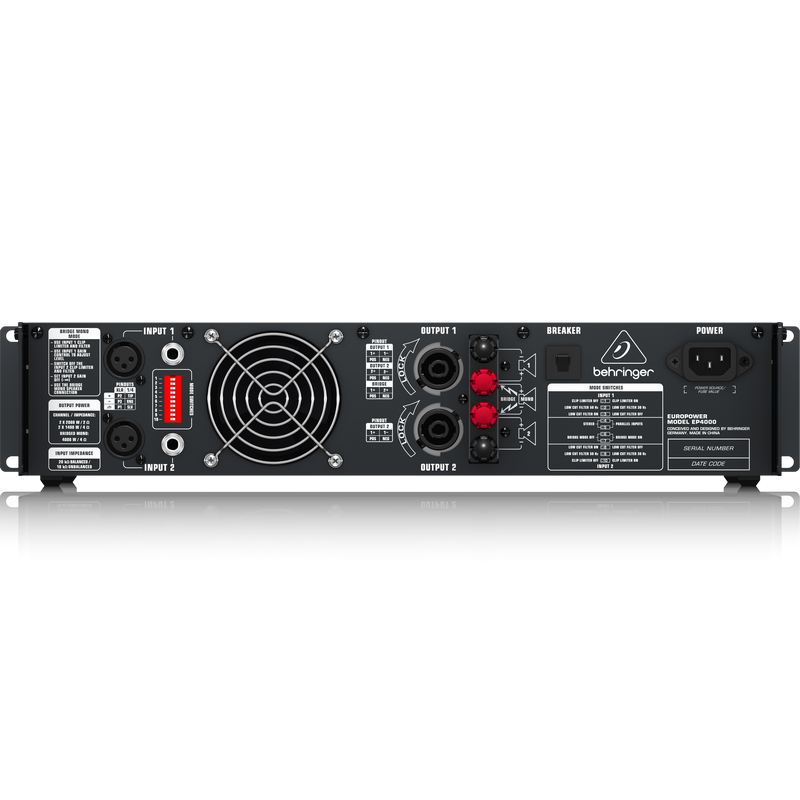 Independent DC and thermal overload protection on each channel automatically protects both the amplifier and your speakers. The exhaust fan, visible on the back panel, is the final stage of an internal back-to-front cooling system that keeps the comfortably EP4000 within its normal operating range. Finally, an impact-resistant, all-steel 2U rack-mount chassis protects your investment from the rigors of the road.